2017 – 2018 School Year Begins August 28! 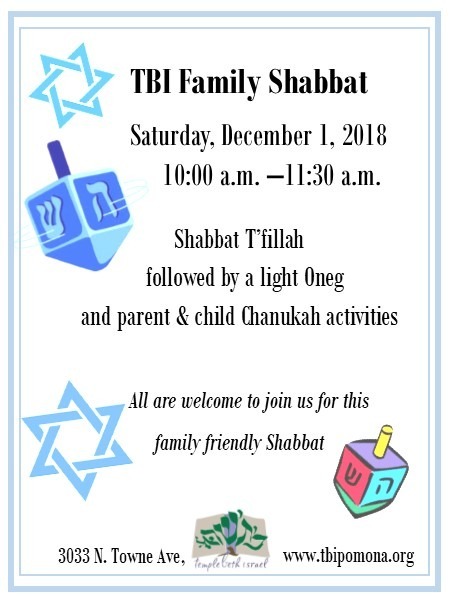 Join TBI for Family Shabbat, followed by light Oneg and parent & child Chanukah activities, on Saturday, December 1st at 10 am. All are welcome.